More than once, the coalition government has ruled out using public private partnerships (PPPs) to fund the country’s infrastructure needs in health and education – apparently private profiteering in those areas is recognised as being undesirable. Not the same story though with transport, and the reasons for that differential treatment are mystifying. 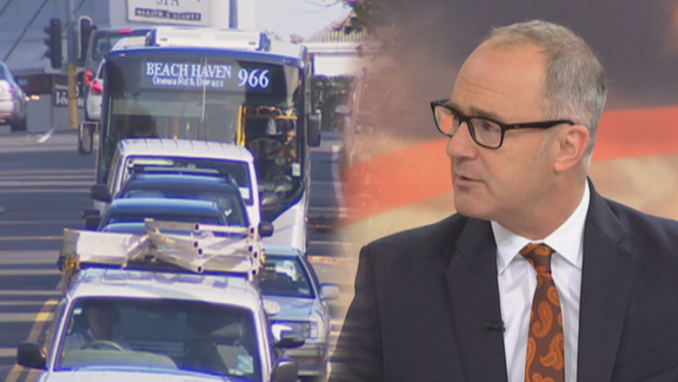 Earlier today, Transport Minister Phil Twyford announced that one of two new roads that the government would be co-financing would be a PPP – namely, the Penlink project that will link the northern motorway to the Whangaparaoa Peninsula. The government will be putting $200 million into that project, with additional costs being met via private investors, after a tendering process. Tolls will be a key part of the equation. By contrast, central and local government will pay the entire cost – estimated at $500 million – of the Mill Road project, which will tackle congestion in the south Auckland area, towards Drury. IMO, there is reason to be alarmed about the use of PPPs to fund any kind of social goods. In Britain and Australia, PPPs have had a chequered history often marked by cost blowouts, the socialisation of risk, and other long term negative consequences for the taxpayer. Much of the objection to them has to do with how the taxpayer gets locked into contracts where the private sector is (a) guaranteed profits over a fixed, long term period and is (b) all but insulated from risks, much of which the taxpayer gets to bear if/when they eventuate and finally (c) the projects end up costing more overall, given that governments can always borrow the necessary funds at a lower rate of interest than the private sector. All up, the taxpayer is routinely put on the hook for 30-35 years to pay more money to the private investors than would have been the case if the government had borrowed the entire sum upfront. That last point though – how and whether the borrowing appears on the books – explains why governments tend to be keen on PPPs, and why this government in particular is resorting to them. Those Budget Responsibility Rules that Labour and the Greens signed up to last year (to prove their economic management credentials) have all but hamstrung the Ardern government’s ability to borrow more money to meet the social needs that have been steadily piling up during the past nine years of absentee government. We have very low levels (by world standards) of government debt. Therefore, why does central government not borrow while it still can, at a 2.7% rate of interest, and thereby prevent the passing on of extra costs in future? The Ardern government readily sees the logic – and the generational fairness – in taking action now, on climate change. Avoiding the legacy costs of PPPs should be a similar no-brainer. Reportedly, Associate Transport Minister Shane Jones has just been in Australia on a fact-finding mission about PPPs, to find out how private investors can best work together with governments. Certainly, when it comes to PPP failures, Australia has had some doozies to offer : both the Cross City Tunnel in Sydney, and the Southern Cross station development in Melbourne come to mind. PPP critics, like the Queensland University economist John Quiggin, doubt whether there have been any ‘standout successes’ where PPPs have delivered for investors, government and the users of the infrastructure in question. “Although there is talk about efficiency,’ [Quiggin says]” the big motive for governments, in my view, has always been the chance to get debt off the books, in accounting terms, though often not in reality,” he says. Noting that governments are getting tougher when negotiating contracts with private-sector investors, Quiggin says the typical PPP model is “irreparably broken”. He expects a shift in the structuring of projects. He said it would be a toll road as the upgrade would likely be not worth the cost otherwise. Right. So the tolls really are a ‘make or break’ factor – which means the Penlink contract is going to need to include forecasts of the likely uptake by motorists, at the given levels at which the toll may be pitched. What happens though, if there is lower demand than estimated – and if the private investor can’t achieve the expected profit expectations that the tolls are supposed to deliver ? Contractually, will that risk then revert to the Crown – or can Twyford guarantee that the taxpayer will not be picking up the tab in any way for the economic risk of the project’s financial under-performance? “It makes little sense to expose a road concessionaire to demand risk.” [says Queensland University economics professor Flavio Menendez] “First, the private parties bearing demand risk do so in exchange for a risk premium … to the extent that [the private sector] cannot influence demand, the government may be the best party to hold the risk,” he says. Yeah, right. So…in sum, not only do private investors get promised a fixed level of profit for circa 30-35 years, but they also get to offload the costs onto the taxpayer if the project goes sour, and the projected tolls income doesn’t eventuate. What Twyford has to do is explain how these and other risk management factors are going be managed, such as to ensure that the socialisation of risk doesn’t occur on this or any other transport PPP (light rail, rapid transit) that he has in mind. Basically….if they build it, will the motorists come, and will they pay the toll ? And if they don’t, what happens then? In my previous column about the current sympatico between New Zealand and France and Ardern and Macron, I lazily used Francoise Hardy as an example of French music culture. Sure, she’s timelessly great – but a more apt, more modern example would have been either the young hip-hop artist Eddy de Pretto, or the 34 year old French writer/musician Gael Faye.